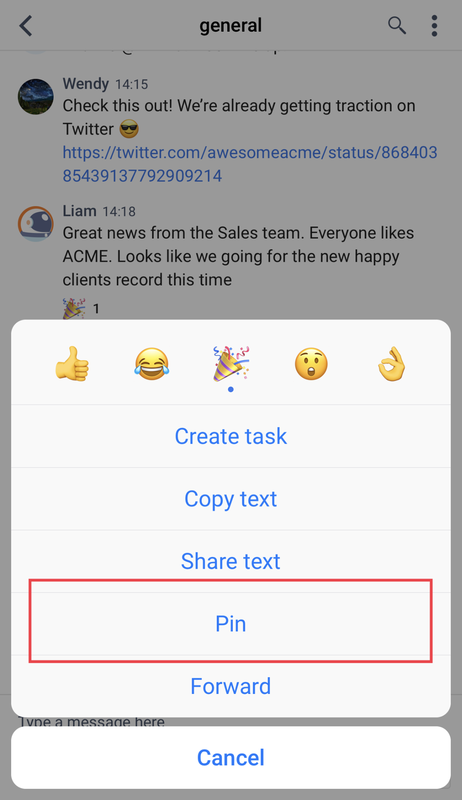 You can save important messages using the Pin feature on Chanty. 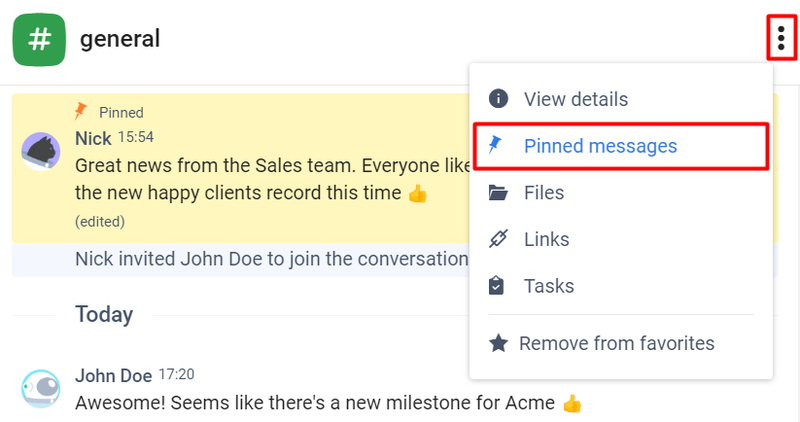 Click the Conversation actions icon and choose Pinned messages among the actions. 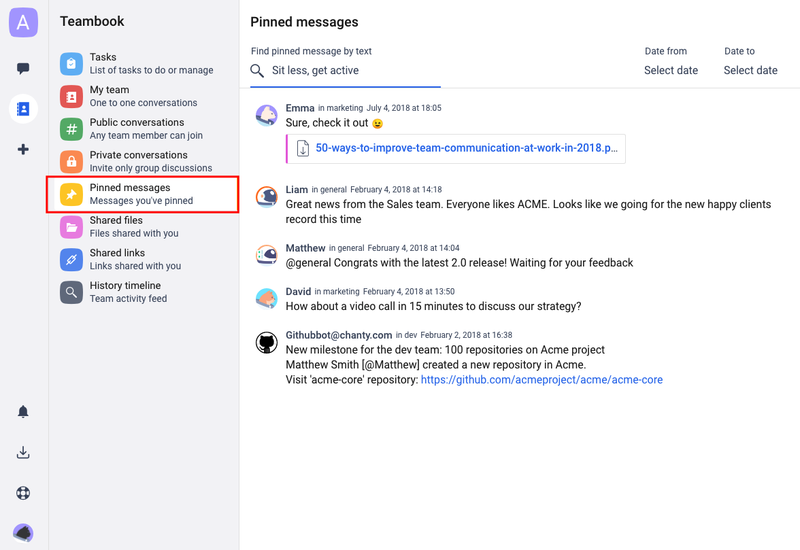 Pinned messages menu contains list of all messages, pinned by your team in all conversations on a team space. You can filter pinned messages by date using Date from and Date to filter.